In this cookbook for vegetarians on-the-go, Rose Elliot shows you how to create tasty, original, meat-free meals – fast! It contains over 200 recipes for every occasion, all ready to eat in under half an hour. Rose combines ingenuity with speed to create mouth-watering, original, vegetarian meals in no time. This is fast food for any occasion – from a quick snack for one, to a speedy lunch with a friend, or a last-minute impromptu dinner party. Starting with the store cupboard, there are essential tips on what to have in stock to ensure you always have the basis of a quick meal or snack. The next six chapters are each based around a key main ingredients: • Bread • Eggs, Cheese and Dairy Foods • Pasta • Pulses, Grains and Nuts • Vegetables • Fruit. Delicious ideas include quick pizzas, pittas and crostini, fillings for frittatas and tortillas, spicy lentil burgers, risottos, soups, dozens of pasta dishes, gratins and grills, stir fries and salads and plenty of tempting desserts and puddings that you can whip up in a flash. There are also more applied recipes (but nothing longer than half an hour) such as Polenta with Grilled Vegetables, Mixed Vegetable Curry and Red Beans with Thyme and Coconut Cream. 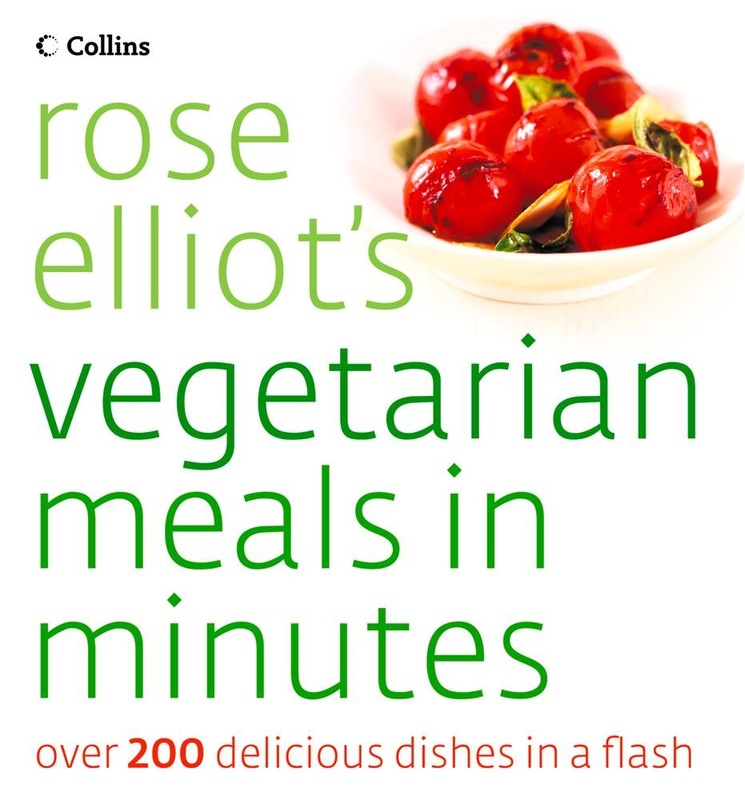 Rose Elliot’s Vegetarian Meals in Minutes is the perfect book for the busy veggie. Keep it handy in the kitchen and you’ll be able to rustle up a meal in no time. Acquista Rose Elliot’s Vegetarian Meals In Minutes in Epub: dopo aver letto l’ebook Rose Elliot’s Vegetarian Meals In Minutes di Rose Elliot ti invitiamo a lasciarci una Recensione qui sotto: sarà utile agli utenti che non abbiano ancora letto questo libro e che vogliano avere delle opinioni altrui. L’opinione su di un libro è molto soggettiva e per questo leggere eventuali recensioni negative non ci dovrà frenare dall’acquisto, anzi dovrà spingerci ad acquistare il libro in fretta per poter dire la nostra ed eventualmente smentire quanto commentato da altri, contribuendo ad arricchire più possibile i commenti e dare sempre più spunti di confronto al pubblico online.